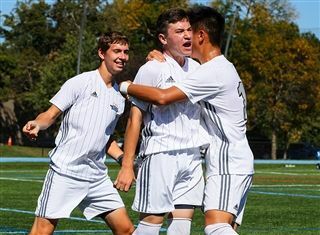 The boys' soccer team has been selected as a top contender for the Non-Public B state title by NJ.com! The Knights are coming off a season in which they reached the Somerset County Tournament semifinals, Prep B finals and South Jersey, Non-Public B semifinals. They are returning a strong senior lineup along with talented underclassmen.